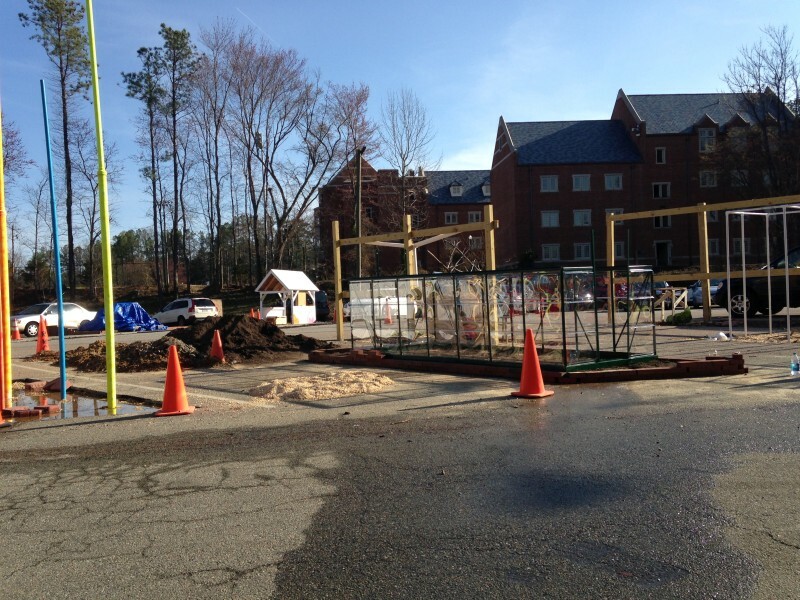 Our Asphalt Playground: The Parking Lot Project | Izzy P., Kenta M., and Miranda R.
Shovel the dirt into a wheelbarrow. Dump the dirt back into the hole. Contemplate loss on a stump. Find two people you love. When it falls down, try again. 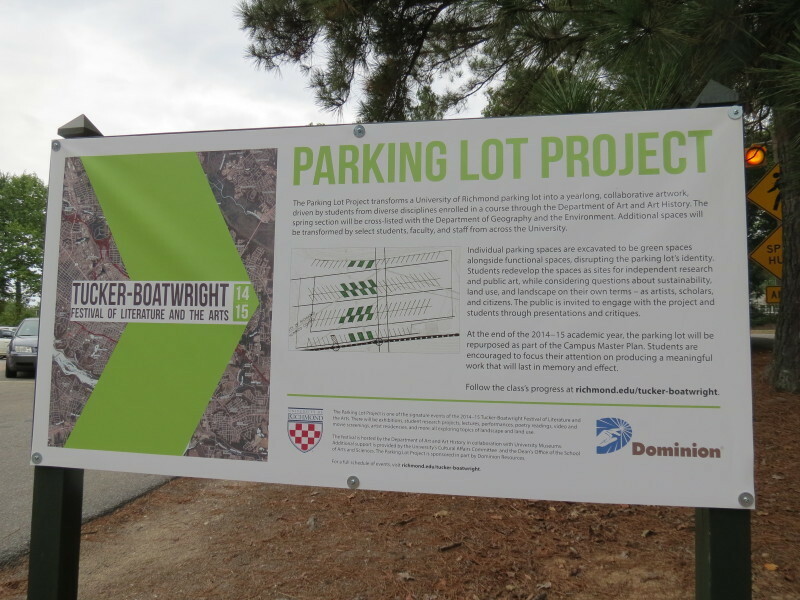 The Parking Lot Project, a yearlong course led by Professor Erling Sjovold, was a multi-media art installation in the University of Richmond C-Lot parking lot. 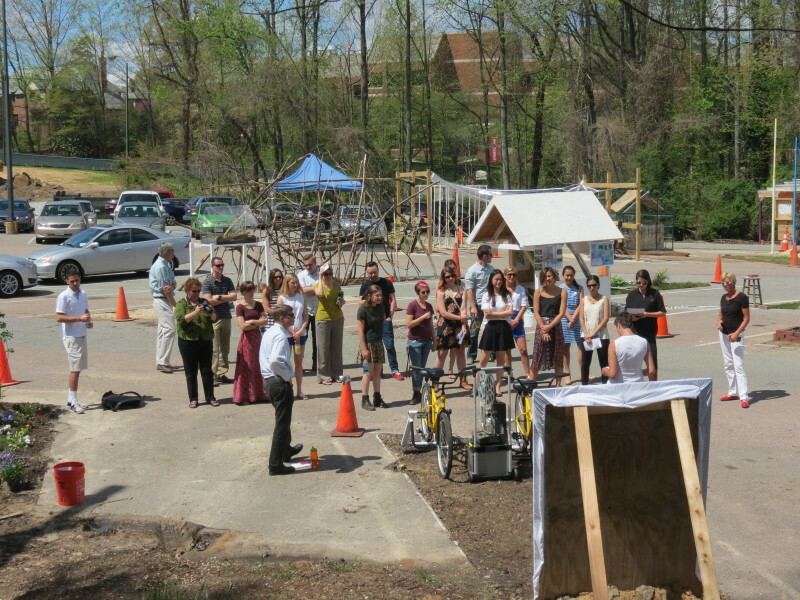 The project transformed the campus parking lot into a yearlong site-specific outdoor art exhibition. 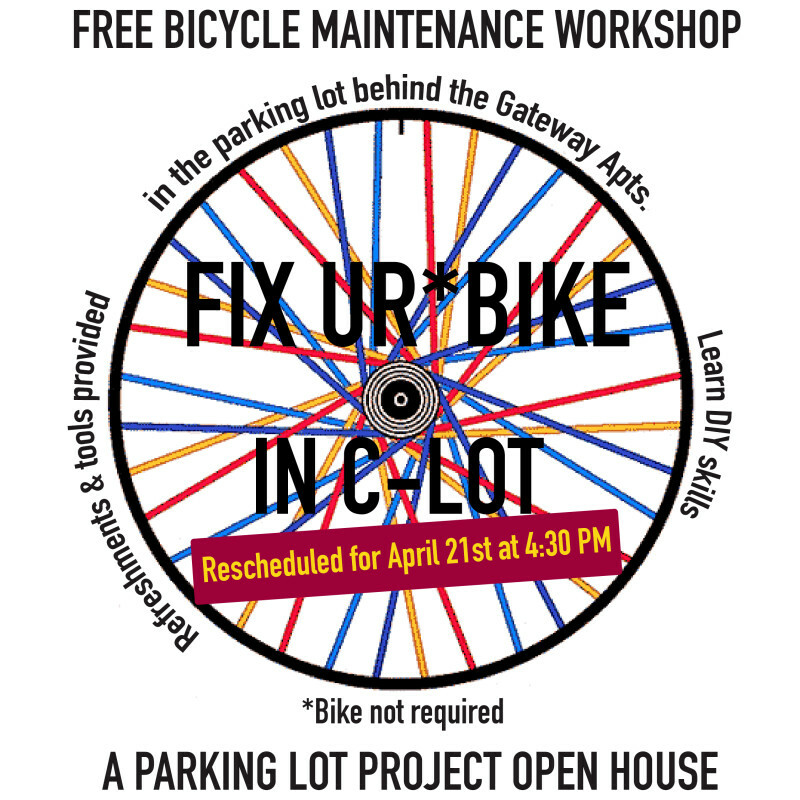 Excavated parking spaces were redeveloped as green art spaces alongside functional spaces for cars, disrupting the parking lot’s identity and cultivating space for critical and creative inquiry. We all stumbled into the Parking Lot Project in different ways: Kenta joined through curiosity and a longing to create after a four-year focus on art history. Izzy bounded into the project as an enthusiastic artist and avid nature lover. 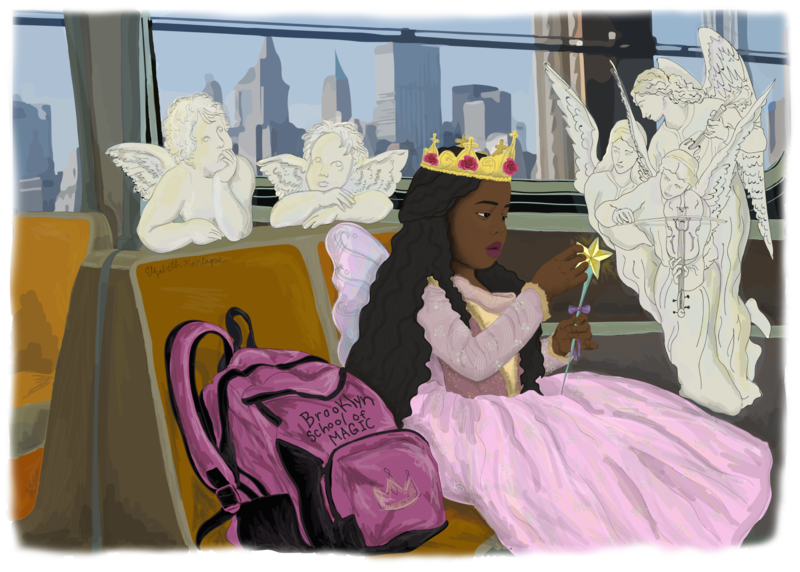 And Miranda meandered into the Parking Lot Project as an oral historian, looking to collect stories and discovering that parking lots are full of them. 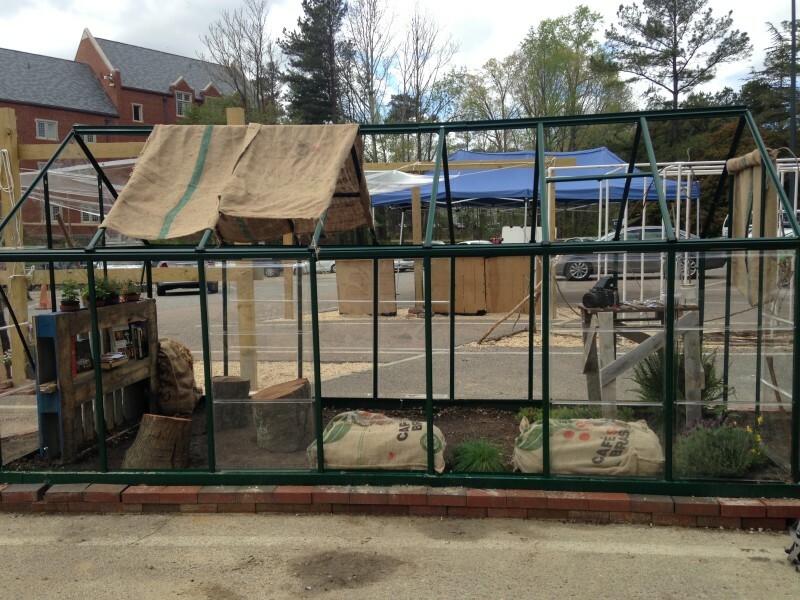 Finding ourselves together in this parking lot, each with our own ideas, our own intentions, and our own experiences, we joined together to create a collaborative greenhouse nestled inside of a single parking space. The first signs of occupation. Hanging in the empty shell of our newly constructed space. 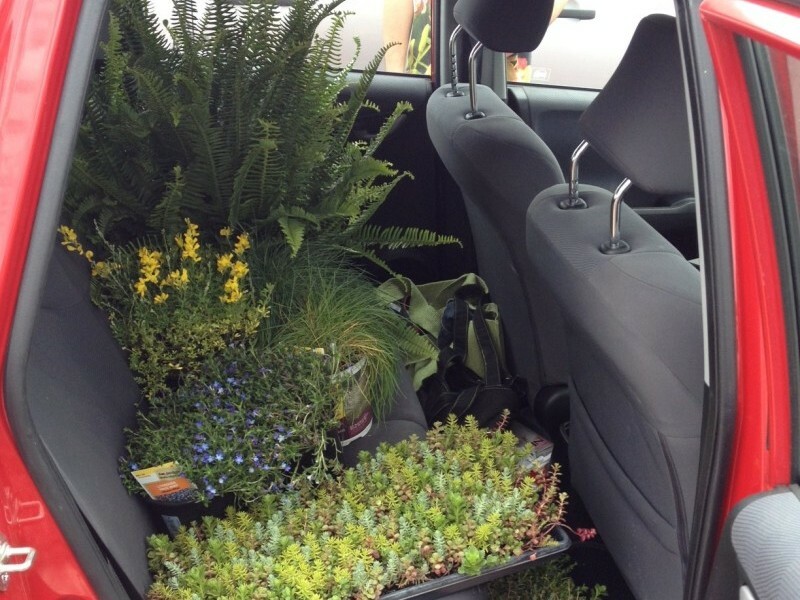 Pickin’ up the goods from Home Depot and turning Kenta’s car into a backseat habitat. 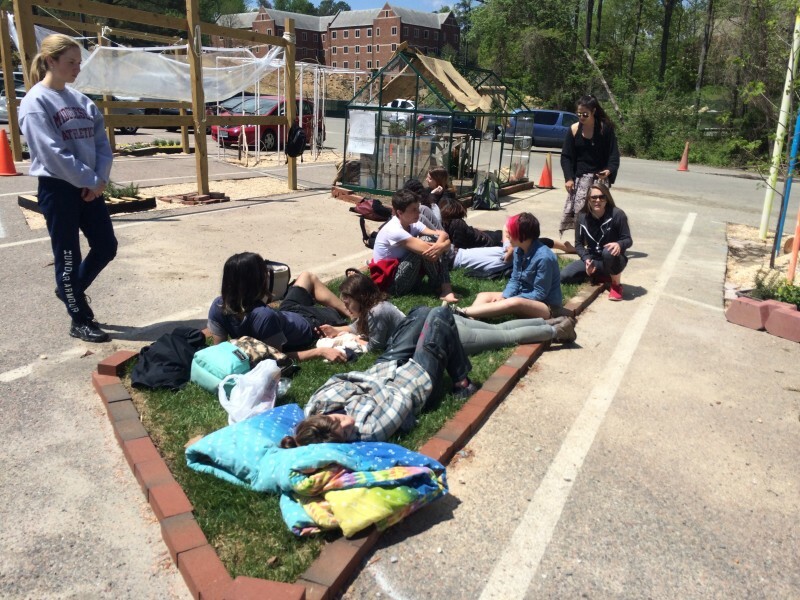 The green adjacent to the greenhouse serves as communal napping quarters + event space. 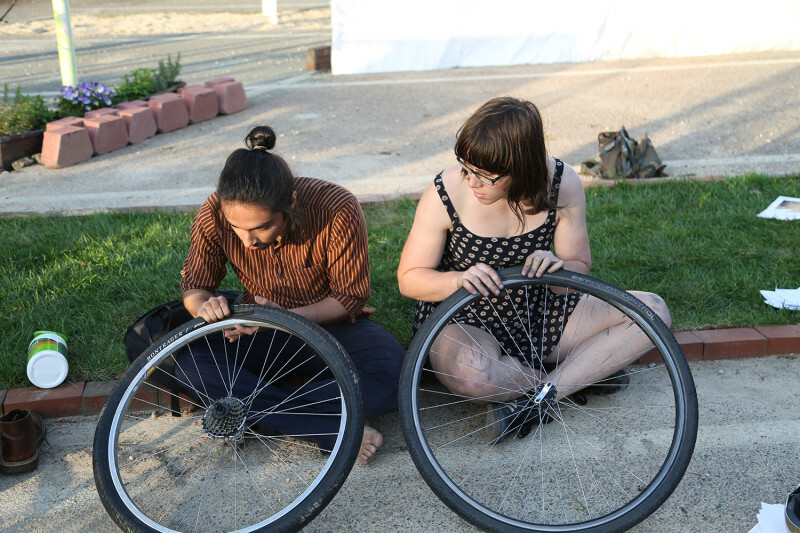 working on fixin’ flats with help from Jess at Rag & Bones Bicycle Co-op. 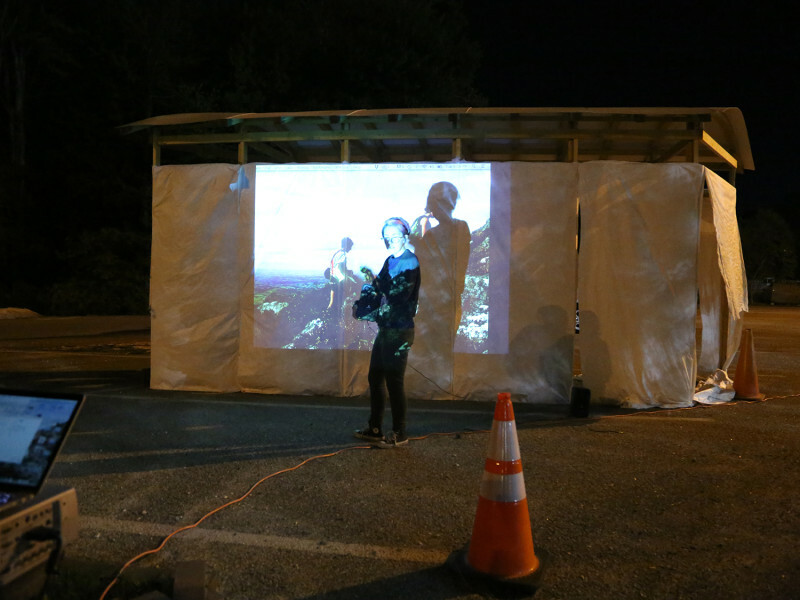 For our second event, a screening was held featuring Izzy’s films made from Parking Lot content projected on a structure by Mimi King. Caroline Dougherty models for our pop-up figure drawing workshop in the parking lot. 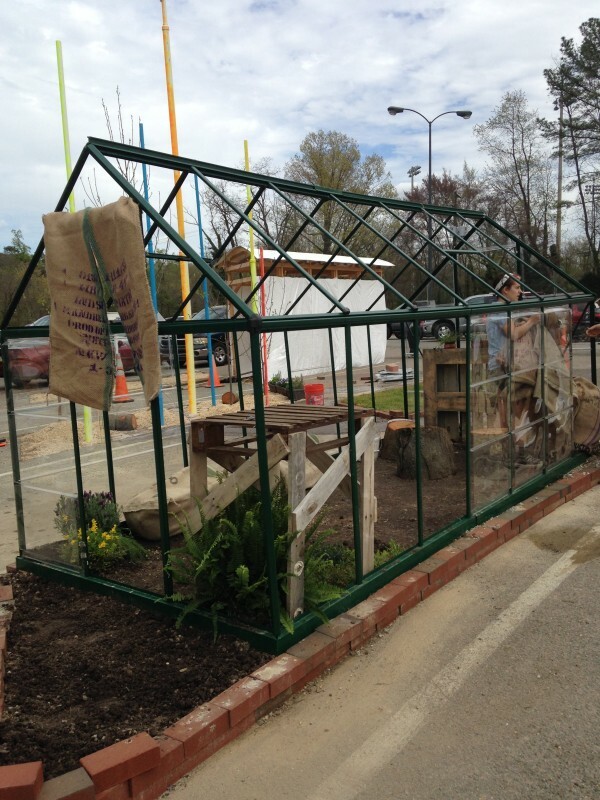 The *final* version of the greenhouse installation. Our lil’ mushroom buddies start to take. 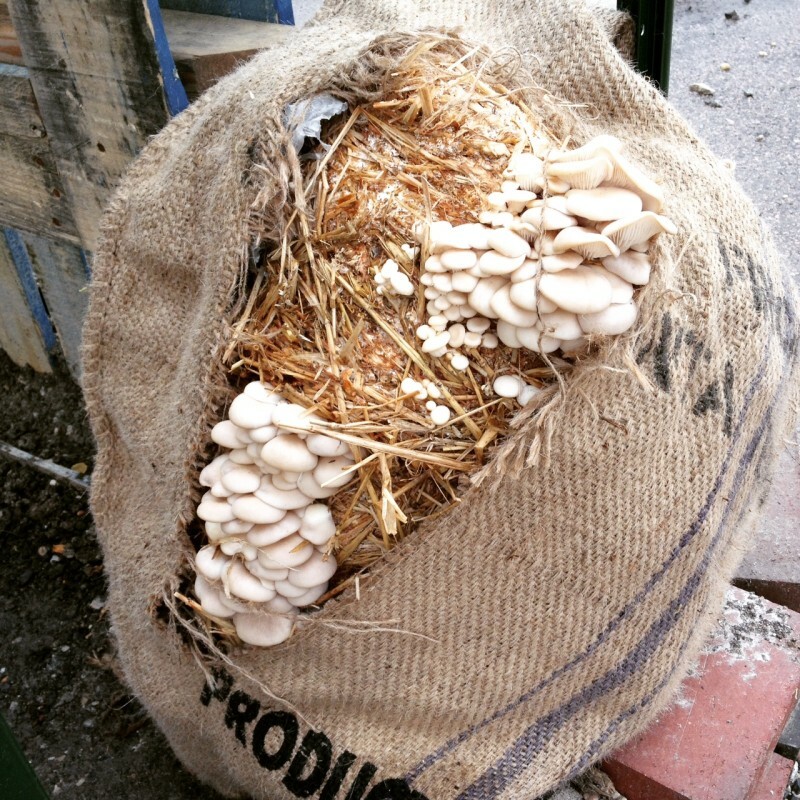 Mycelium is our symbol of bioremediation and reclaiming of industrial infrastructure. 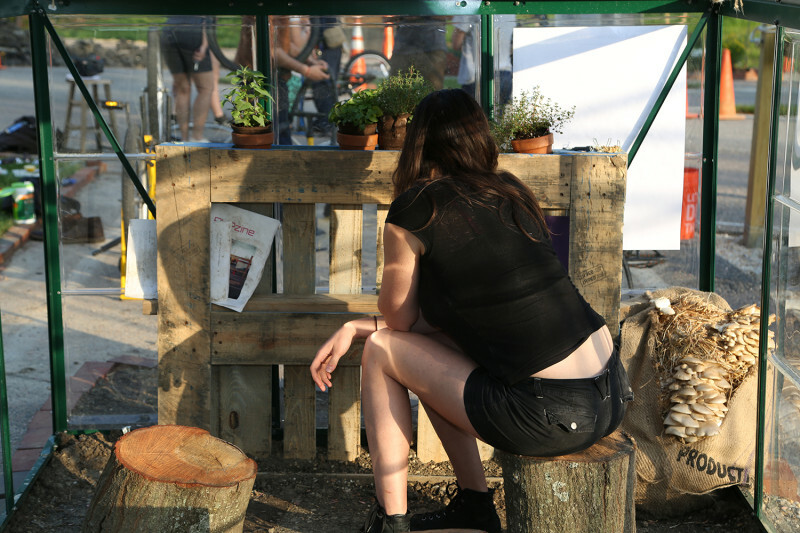 Besides being a space not to park your car, the Greenhouse served as a mini-exhibition space and ‘zine library. 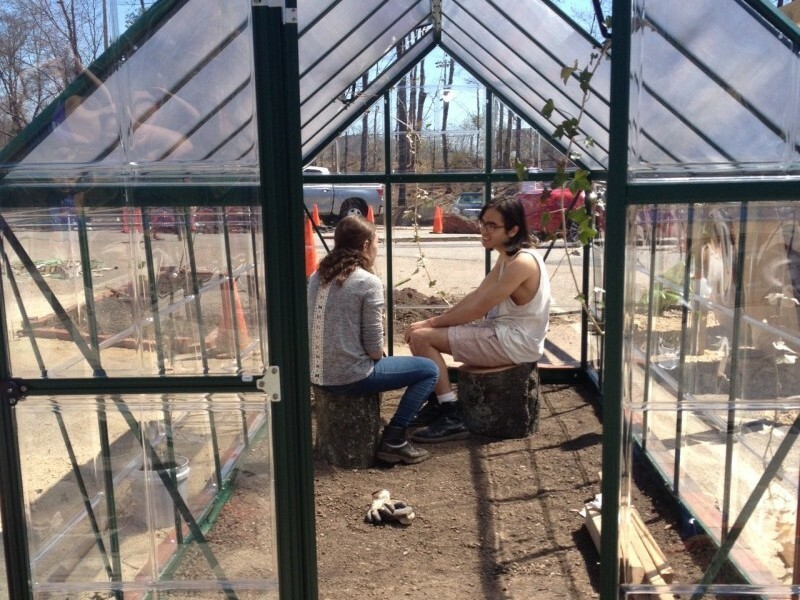 On the last days of the PLP, we presented our journey having rebuilt the Greenhouse, and how it is intended as a space for social engagement. Our PLP colony bonds together for our final critique and a chance to celebrate the alternative community that was created as a result of this project. 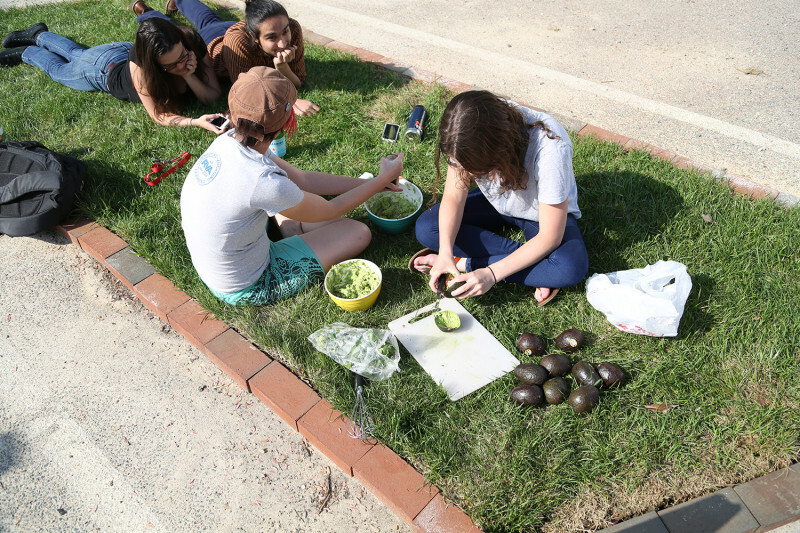 This hour-long oral history based sound piece was created from interviews done by Miranda Rosenblum, telling the stories and experiences from parking lots around the world. Interersperced with parking lot sounds collected by Izzy Pezzulo, this sound piece draws into question the cultural assumption of insignificance of parking lots in the lives of those who interact with them. This sound piece is intended to be played on loop from inside the greenhouse. Kenta Murakami is a University of Richmond graduate with a major in Art History. He currently lives in New York City working as an intern for Hauser & Wirth, writing nuanced art reviews for Hyperallergic, and drinking too much espresso. 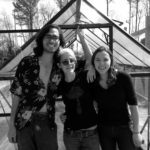 Izzy Pezzulo and Miranda Rosenblum are both still students at the University of Richmond and spend their time exploring RVA, listening to femme punk music, and wreaking havoc. 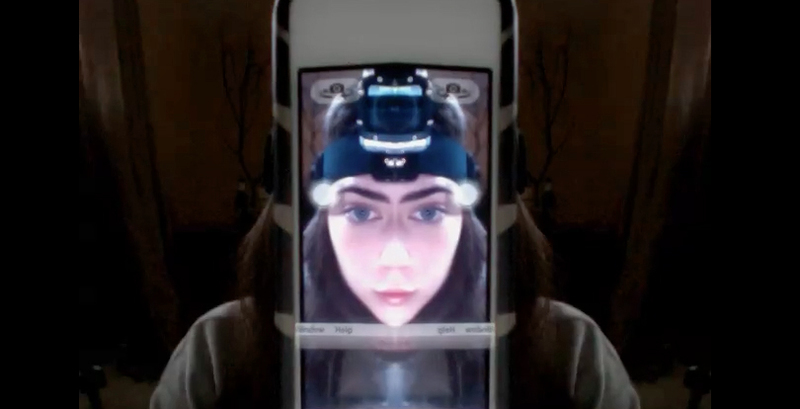 Kenta, Izzy, and Miranda keep their intimate friendship alive through invigorating phone calls and email exchanges filled with digitally minded articles and bizarre gallery simulation links.